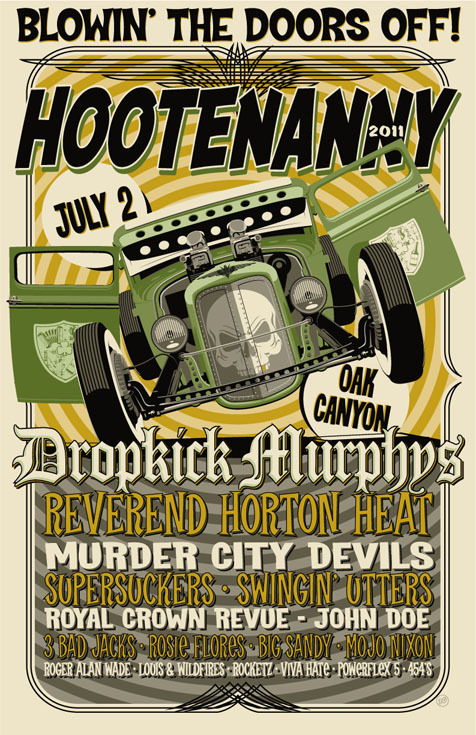 The Hootenanny is July 2nd this year folks. Last year was a great show with Chuck Berry, and this year will be another great show with Dropkick Murphys Headlining. Remember it can get hot there and you should dress for the occasion, drink lot’s of water and have ton’s of fun!